Happy Chocolate Easter Egg People - Mmmlingerie. A Taste of Beauty. I will quote Wikipedia on this one. "The egg was a symbol of the rebirth of the earth in celebrations of spring and was adopted by early Christians as a symbol of the resurrection of Jesus. 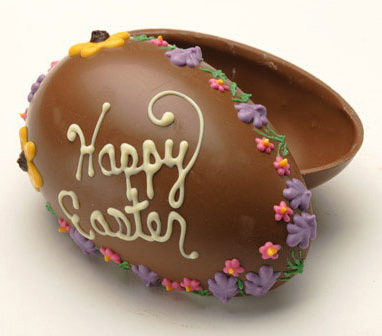 The oldest tradition is to use dyed or painted chicken eggs, but a modern custom is to substitutechocolate eggs, or plastic eggs filled with confectionery such as jelly beans. These eggs are often hidden, allegedly by the Easter Bunny, for children to find on Easter morning. Otherwise, they are generally put in a basket filled with real or artificial straw to resemble a bird's nest." Personally I will take any excuse just to get chocolates! I mean I might even accept chocolates that Oden gives me. Never-mind there are limits.